According to unofficial data, the total annual income of the Russian Orthodox Church in the 2000s was estimated at $7 million. The Russian Orthodox Church is not only a religious organization, but also a large corporation that does business. In 2014, the Russian Orthodox Church received $75.7 million of revenues from ceremonies, sales of religious literature and donations, according to the Federal Tax Service. All of this is untaxed (the data for 2015 is not yet available). According to unofficial data provided by sociologist Nikolai Mitrokhin, the total annual income of the Russian Orthodox Church in the 2000s was estimated at $500 million rubles ($7 million). At that time, the Church's revenues were distributed as follows: 55 percent of its earnings were generated from its commercial enterprises, 40 percent came from sponsorship donations and five percent were contributed by dioceses. However, this correlation has now changed: Sponsorship donations have decreased, while contributions from dioceses make up between a third and half of the Church's total budget. This was reported by Archpriest Vsevolod Chaplin, who headed the Department for the Cooperation of Church and Society until the end of 2015, in comments made to business daily RBK. So what are the various income streams that make the Russian Orthodox Church so wealthy? One of the main sources of income for the Moscow Patriarchate is the Sofrino plant. This is a factory producing church furniture, various utensils, icons and candles – many different types of goods costing from a few rubles to one and a half million ($20,000). According to priests, making purchases from Sofrino is strongly recommended by dioceses. The plant supplies ecclesiastical products to up to half of all Russian churches. The Russian Orthodox Church's sphere of interests also includes medical supplies, jewelry and the rental of meeting rooms, as well as agriculture and the market of ritual services, the Vedomosti business daily has reported. According to the SPARK database of Russian companies, the Patriarchy is the owner of the company Orthodox Ritual Service; the company is now closed, but its subsidiary, Ritual Orthodox Service, is in operation (its earnings amounted to $740,000 in 2014). The Church also generates revenues from two Moscow hotels – the Universitetskaya and Danilovskaya. The income of the latter amounted to 112 million rubles ($1.5 million) in 2014. According to the Newsland website, in 2010, the Russian Orthodox Church – via a network of affiliated companies – actively traded in BMW cars, as a co-founder of BMW Rusland, together with BMW Austria. The Church's regional branches – dioceses – are involved in the industrial sector. For instance, the Yekaterinburg diocese previously owned a large granite quarry, while the Kemerovo diocese is the sole owner of the KSK building company as well as a co-owner of the Novokuznetsk Computer Center and the advertising agency Evropa Media Kuzbass. 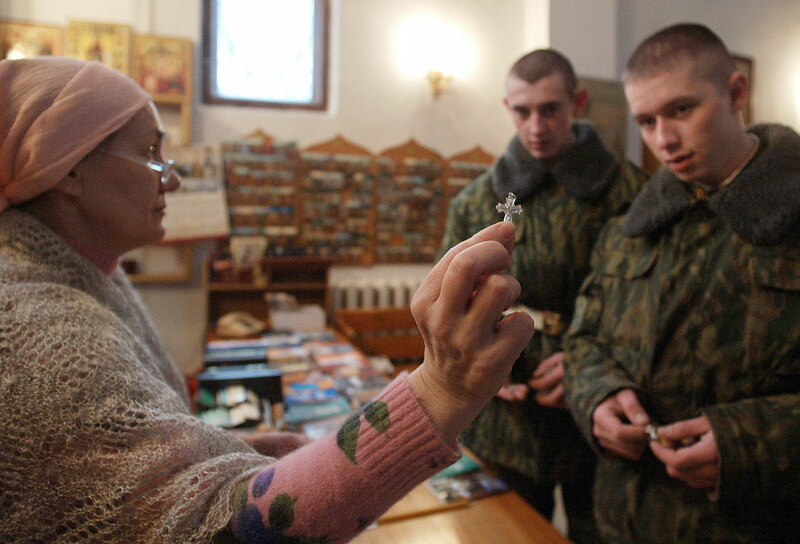 Churches in Russia generate their basic income from the sale of candles, but also earn revenues from donations for the performance of religious rites. Candles for the Russian Orthodox Church are molded in dozens of workshops, using as raw materials not only new wax or paraffin, but also used candle ends. The cost of the production of a candle is dozens of times lower than the price it is sold for in the church. The monthly revenues of churches range between $70 and $40,500. Part of the money (10-15 percent) made by churches (there are about 34,000 of them) is passed to dioceses, of which there are about 300 in Russia. Dioceses, in turn, transfer 15 per cent of these contributions to the Patriarchate. In addition, the Church is assisted by the state. In 2012-2015, the Russian Orthodox Church and its associated structures received 14 billion rubles ($189.2 million) from the state. A total of 2.6 billion rubles ($35.1 million) is budgeted for the Russian Orthodox Church for 2016. The state gives money to the Church as part of federal programs related to the development of spiritual and educational centers, as well as the conservation and restoration of churches. The Russian Orthodox Church's main cathedral in Moscow, the Cathedral of Christ the Savior, is also a part of the revenue budget – it is just not clear whose. In addition to the cathedral itself, its grounds host a car wash, a dining area, a dry cleaning shop, a laundry and a paid underground parking lot for 305 cars. Based on the stated prices, it can bring in up to $675,000 a year. The church rooms – the assembly hall and conference room – are also available for rent. However, the cathedral and the surrounding areas belong officially not to the Russian Orthodox Church, but to the City of Moscow, and are managed by a non-profit organization – the Christ the Savior Cathedral Fund. The Fund receives subsidies from the city administration as well. A total of $9.4 million was allocated for the "maintenance" of the cathedral between January 2010 and September 2012. Based on investigative reports from RBK, Vedomosti and Newsland.